1968 was an unforgettable year. Far above it all, Apollo 8 orbited the moon, the first manned spacecraft to do so. Back on Earth, Bill Jessee had a tough decision to make. He had been accepted to two medical schools: UCLA and UC San Diego. 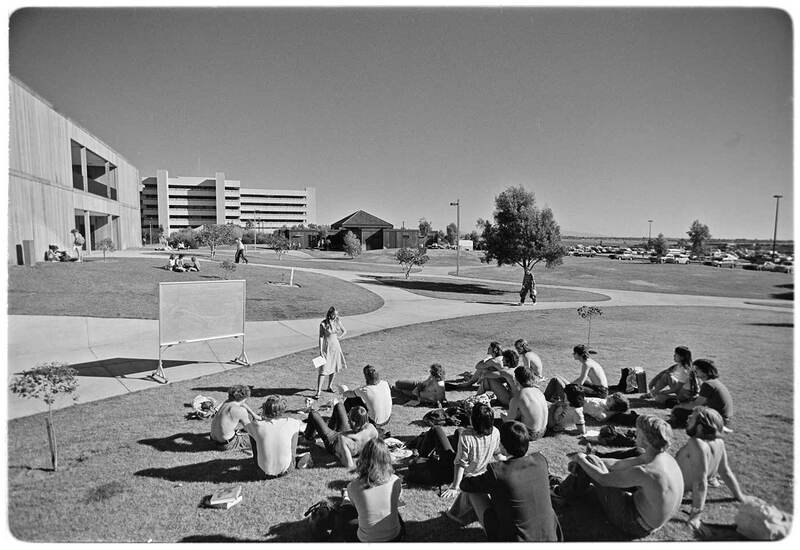 The problem was UC San Diego didn’t actually have a medical school yet. Jessee decided to take a chance on the new school, despite its lack of history or reputation. He started medical school at UC San Diego that fall with 46 others in the charter class. From the beginning, the school attracted risk-takers like Jessee, who welcomed the chance to be a part of a new type of medical education. One of these innovators was the school’s first dean, Joseph Stokes III, MD. In addition to his work in medical education, Stokes led research in preventive medicine, infectious diseases and cardiovascular disease, particularly as they related to the relatively new field of genetics. Perhaps due to his own varied, interdisciplinary research interests, Stokes and the other founding faculty wanted to build a school that didn’t just have medical students memorize disease symptoms and their treatments from a textbook. They wanted to provide a medical education strongly rooted in the basic sciences and the underlying causes of disease. At the same time, they didn’t want students who did nothing but sit in lectures for their first two years. But to attract those special students like Jessee, Stokes and team first needed to build a faculty of the best and brightest. So they rolled up their sleeves, built bridges with other science departments across the UC San Diego campus and traveled the country to recruit more like-minded educators, clinicians and scientists. One of Stokes’ first recruits was Eugene Braunwald, MD, who served as founding chair of the Department of Medicine. Braunwald left a comfortable academic life at the National Institutes of Health (NIH) to take a chance on a new endeavor — a new school of medicine that was just one building in the middle of nowhere and a newly acquired community hospital a ways down the freeway in Hillcrest. And there were many more visionaries who came in those early years: Robert Burr Livingston, MD, the first professor and chair of the Department of Neurosciences, was credited with building the first computerized map of the human brain. John S. O'Brien, MD, second chairman of the same department, discovered the genetic cause of Tay-Sachs disease and developed the first tests for the disorder. Daniel Steinberg, MD, PhD, founding head of the Division of Metabolic Diseases, was one of the first to determine that high cholesterol is a major contributing factor in the development of atherosclerosis and coronary heart disease. Elizabeth Barrett-Connor, MD, who founded the Rancho Bernardo Heart and Chronic Disease Study in 1972, a landmark project that tracked thousands of participants over more than 40 years. 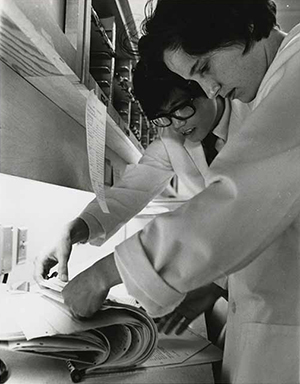 That philosophy led to what’s known as the “Bonner Plan.” Eventually, UC San Diego medical students would take graduate-level classes in biochemistry, physiology and pharmacology alongside graduate students devoted to those fields. Second-year medical students took their anatomy and pathology courses with clinical faculty, but could continue working in labs and taking electives in general campus graduate departments. 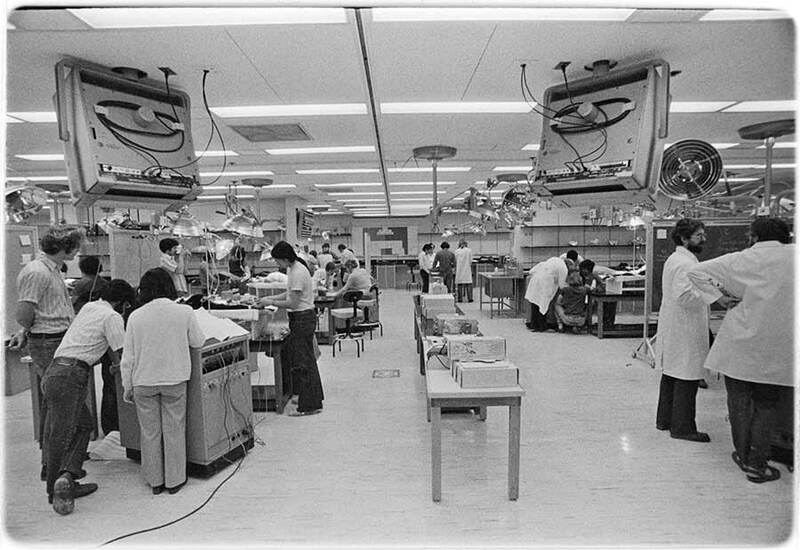 While the Bonner Plan set the stage for an unparalleled intermingling of basic sciences in a medical school, Clifford Grobstein, PhD, the school’s dean when the first class entered in 1968, continued that tradition. “Dr. Grobstein was a cellular physiologist and it was unusual at that time to have a medical school dean who was not a physician,” Jessee said. But it was consistent with the concept of a strong basic science foundation. “We’ve always tried to do things a bit differently,” said John West, MD, PhD, DSc, a pioneer in physiology who has been at the School of Medicine almost since the first day. He still teaches today. But Stokes, Grobstein and their faculty recruits didn’t stop there. So Stokes, Braunwald and the other founding faculty integrated both worlds. They introduced students to patients the first week they arrived. And they expected every student to conduct a research project suitable for publication before graduation. Many of the early faculty and students did things differently in other ways, too. “To better understand the hospital in Hillcrest, I lived in a patient room for six weeks,” Braunwald said. Braunwald moved to San Diego at the end of April 1968, but his wife and children stayed behind to finish out the school year. Instead of living in a motel during the interim, he found an empty room in the hospital and camped out. He even brought in a desk and set up a small office. The students also helped shape the School of Medicine’s curriculum and values. He put that philosophy to the test, too. He initially decided not to do a surgery rotation, and instead focus on pediatrics and obstetrics/gynecology. If standardized exams are a measure of success, the Bonner Plan and the vision of the founding faculty worked: The school’s second class of 48 students ranked #1 in the U.S. on the 1971 board exams. While the art and science of medicine have evolved since 1968, the School of Medicine’s goal is constant: Create physicians who are as compassionate as they are brilliant. 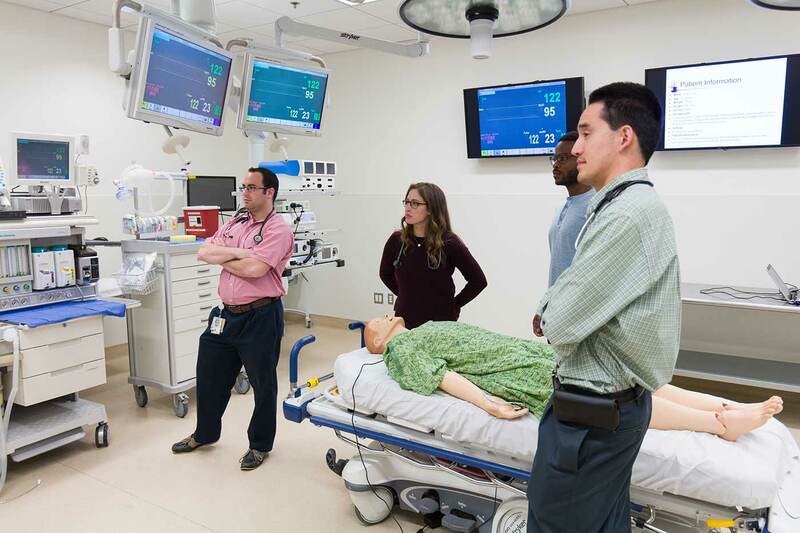 Medical students put their procedural, teamwork and communication skills to the test with a manikin in the Simulation Training Center at UC San Diego School of Medicine, 2017. Today, the UC San Diego School of Medicine is routinely ranked in the top 20 medical schools in the nation, for both research and primary care, by U.S. News & World Report; it also continues to attract adventurous students. 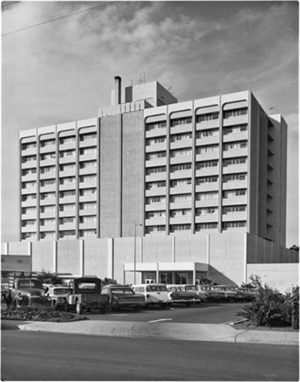 This is the first in a four-part series celebrating the 50th anniversary of the UC San Diego School of Medicine. See part 2 here.